Mankind has taken gigantic leaps forward in the last two centuries; to the point that, if we were able to travel back in time, we wouldn't recognize life in the pre-industrial era. So much of what we do now has been made easier —or possible!— by the inventions and innovations of the four industrial revolutions. As we dive head first into the fourth one; it is worthwhile to take some time to assess the impact of the previous three in our society and environment. After all, it is only by knowing our history that we can truly move forward and better ourselves. Keep reading for a glimpse at all the Industrial Revolutions. Coming from an agrarian society with virtually no urban centers, the shift towards steam-powered textile factories and cities was a momentous event. The First Industrial Revolution paved the way for the remaining three industrial revolutions. Therefore, had it never happened, we wouldn't have the basic goods we now take for granted. The steam engine was perhaps the greatest invention of the First Industrial Revolution. It was used to completely transform the textile industry; which implemented it in the power looms —for weaving— and cotton gins —for separating cotton fibers from the seeds. Further innovations to the steam engine allowed to use it for transportation. The new textile factory system eliminated the need for skilled craftsmen while giving way to the exploitation of workers. This triggered a drastic fall of the quality of life for craftsmen and the poor alike; as well as the rise of child labor. Furthermore, the establishment of factories led to the creation of industrial cities; with the perks and problems it carried. This period was a public health disaster. As more and more workers piled up in urban shanty towns with no sewage systems epidemics became a common occurrence. Also, massive use of coal and harmful chemicals polluted the air and water sources near the cities. On the other hand, new transportation methods lowered food costs and therefore, contributed to the reduction of malnutrition levels. Finally, the First Industrial Revolution saw the creation of the first trade union and environmental laws. This period brought on one of the pillars of the later industrial revolutions: electricity. During this Industrial Revolution, we replaced iron with steel. Thus, we were able to build rail lines at competitive costs. 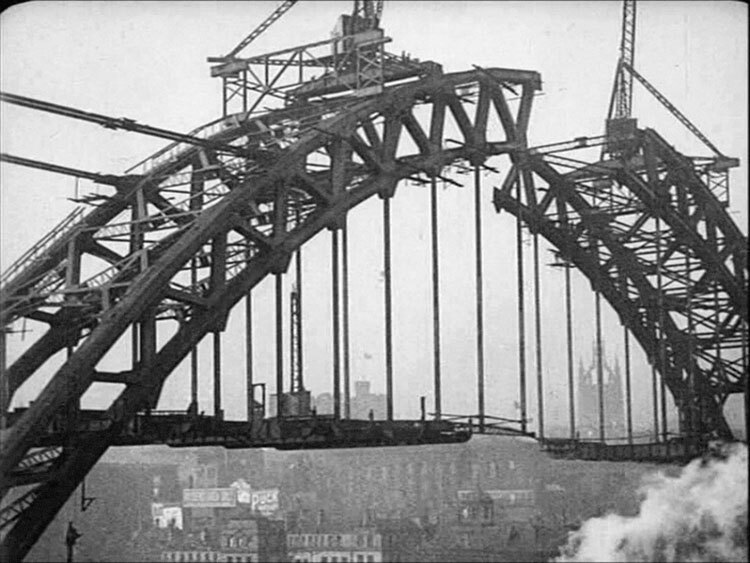 Steel made easier the construction of ships, larger bridges and skyscrapers. Back to electricity; the invention of lightbulbs and the construction of power stations enabled the mechanization of the factories. Later on; this gave way to a better management of the production chain and improvements on public health. The tweaks in production enabled the widespread adoption of pre-existing inventions; such as pipes for sewage systems, as well as gas and water supplies. This also enabled massive production of telegraphs and Graham Bell's telephone. Therefore, it contributed to globalization. Furthermore, new paper machines; as well as the invention of pencils and steam-driven rotary printing presses allowed us to spread literacy. The Second Industrial Revolution gave birth to transportation as we know it today. During it we invented the internal combustion engine and the vulcanization of rubber. This period resulted in a larger, well-educated middle class and the demise of child labor. However, it continued a pattern that we find across all industrial revolutions: the displacement of workers in favor of more efficient machines. It also encouraged the materialistic culture that is now our biggest setback in the battle against global warming and climate change. The Third Industrial Revolution marked the shift from mechanical and analogue electronic technology to the digital electronics we use today. The use of digital computers has become commonplace and the appearance of the Internet connected the world. This period triggered or exacerbated a number of events, such as the Great Recession from 2008, the Arab Spring and ISIS digital army. As its predecessors, it also had a massive impact on the job market, let's see why. Great Recession: It started with the crash in US housing prices and nearly led to the collapse of the global economy. It was made worse by the Ds of the Digital Revolution: digitization, deception, disruption; dematerialization, demonetization and democratization. Arab Spring: A series of civil uprisings that spread through the Middle East in early 2011. This event was only possible thanks to social media. Services such as Twitter and Facebook allowed protesters to organize their efforts. The same social platforms are now used in a similar way by ISIS. Impact on the job market: Early attempts at artificial intelligence led to the displacement of thousands of factory workers. This also caused a segregation of the job market into high-skill/high-pay and low-skill/low-pay jobs, with a void in the middle. This is the first of all industrial revolutions that we have been able to announce and plan. We are currently working in the development of the Internet of Things and cyber-physical systems; as well as the integration of cloud computing. Already, this Industrial Revolution has had a massive impact on business and the job market; it will have similar ones in government. It has completely changed the way we look at customer service; as well as forced companies to change their organizational structure and culture. In the future, it can exacerbate the segregation of the job market, thus increasing wealth and income inequality. It will also affect the government-citizen relationship; as citizens are increasingly able to voice their opinions and force the government to change their current approach to public engagement and policymaking. Finally, it elicits concerns on security because it has made biological and autonomous weapons easier to use.